Carol Kennedy has been an instructor in the Orthopaedic Division Manual Therapy Course System for 33 years, an Examiner since 1990, a Chief Examiner for 18 years, and Chair of that group for 9 years. She also instructs several specialty courses which she has developed on the cervical spine. Carol became a Clinical Specialist in Musculoskeletal Physiotherapy in 2012 and is also an assessor in that program. In 2015, Carol received the Golden Hands Award given to “an exceptional orthopaedic physiotherapist that exemplifies the commitment to our profession in manual therapy, education, mentorship and research”. Carol has contributed chapters on cervical exercise in two textbooks. She is a clinician/ partner at Treloar Physiotherapy Clinic in Vancouver. Kate Kennedy completed her in BSc in Physiotherapy in 1990 from Queen’s University. She moved west as soon as she graduated, working in a few clinics in the Lower Mainland and then settling at Main Street Physiotherapy. She has been working in orthopaedics for over 25 years now, and she has a special interest in manual therapy, exercise, and women’s health, especially post-partum care (even with those many years post-partum) and breast and bone health. 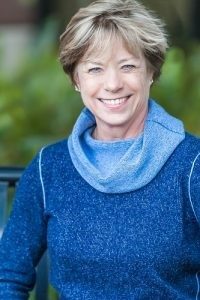 Her approach to treatment focuses on appropriate movement and movement control, patient education and empowerment, and an acknowledgment of each client as a unique individual. 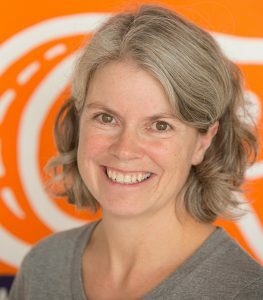 Kate completed her Advanced Certification in Manual and Manipulative Therapy (FCAMT) in 1996 and has been teaching manual therapy at UBC’s School of Physical Therapy and through the Canadian Physiotherapy Association’s Orthopaedic Division since then. May Nolan has a BSc in physiotherapy from Trinity College, Dublin and a Masters in Clinical Science [manipulation therapy] from the University of Western Ontario. She has been practising and teaching physiotherapy for more than 20 years. 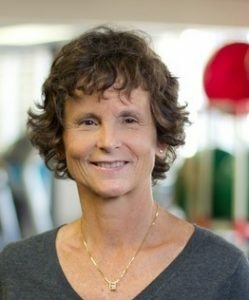 She is a fellow of the Canadian Academy of Manipulative Physiotherapists [FCAMPT] and has co-authored a textbook “Clinical Assessment and Treatment Techniques for the Lower Extremity”. She has also been published in both peer and non peer reviewed journals. May is an instructor and examiner in manipulative therapy for the Orthopaedic Division of the Canadian Physiotherapy Association and a Clinical Associate Professor in the School of Physiotherapy at the University of British Columbia. In 2007 she received the Physiotherapy Association of British Columbia’s award of excellence in education. In 2013 she received the Faculty of Medicine Clinical Faculty Award for Excellence in Community Practice Teaching from the University of British Columbia. Neil Pearson focuses his clinical practice on PT pain management and on people with complex persistent pain. He is the first PT to be awarded Excellence in Interprofessional Pain Education by the Canadian Pain Society, and the Founding chair of the PT Pain Science Division. He consults to Pain BC, developing community-based low cost programs for people in pain, and consults for Doctors of BC developing education in non-pharmacological pain management for group medical visits, and their post-licensure Practice Support Program in pain management. 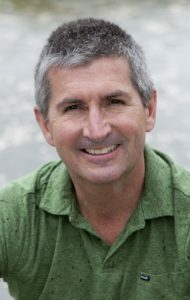 Neil is also a yoga teacher and yoga therapist, integrating pain science and yoga practices into continuing education for health professionals, yoga therapists and yoga teachers. 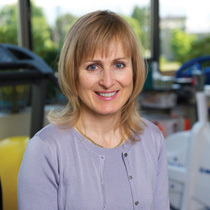 Diane Lee is a UBC graduate in the field of rehabilitation medicine. She is a fellow of the Canadian Academy of Manipulative Therapy (CAMT), certified practitioner of intramuscular stimulation (Gunn IMS) and certified by the Canadian Physiotherapy Association as a clinical specialist in Women’s Health. She was an instructor and chief examiner for CAMT for over 20 years. Diane is also the owner, director, and a practicing physiotherapist at Diane Lee & Associates, a private multi-disciplinary physiotherapy clinic in South Surrey, BC, Canada. In addition, she is the principle instructor of Learn with Diane Lee. 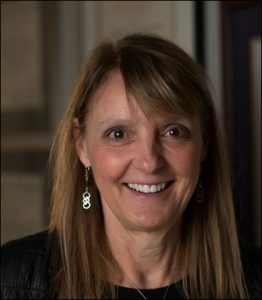 Lenerdene Levesque graduated from Queen’s University in 1979 with a Bachelor of Science in Physiotherapy and completed a Masters of Clinical Science in Manipulation (MCLSc) from Western University in 2008. She has an Advanced Diploma in Manual/Manipulative Therapy (FCAMPT) and has taught, mentored, and examined students in the Orthopedic Division of the Canadian Physiotherapy Association (CPA) Manual therapy courses for the last 22 years. Lenerdene has been an examiner for the National Orthopaedic Division since 2004 and appointed Chief Examiner in 2011. She was a recipient of the CPA Mentorship Award 2009, and is an Adjunct Professor at Western University MClSc (manipulation). She has been a member of the International Federation of Manipulative Physical Therapy (IFOMPT) Standards Committee since 2012. She has spoken nationally and internationally on clinical reasoning and manipulative therapy, and her research integrates clinical decision making and lumbar spine manipulation. Maria Zerjav studied physiotherapy and psychology at Dalhouse University. Her main clinical area of interest for the past 20 years has been the treatment of patients with temporomandibular (TMJ) disorders. Maria is a Certified Cervical and Temporomandibular Therapist (CCTT). She is a member of the American Academy of Orofacial Pain, and attends annual conferences on the subject of TMJ disorders. Maria jas presented numerous lectures to practicing physiotherapists, dentists and dental hygienists on the topic of TMJ disorders. 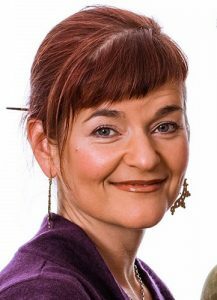 In 2016 Maria completed advanced training for the treatment of Facial Palsy/Bell’s Palsy. Maria has worked in private practice in Vancouver since 1990 and has owned and operated Westside Physiotherapy and Hand Clinic since 1998. Alex Scott is a full-time professor in the Department of Physical Therapy. His personal mission is to conduct research and teaching that advances the scientific foundation of our professional practice. Alex has a BSc in Physical Therapy, MSc in Human Kinetics, and PhD in Experimental Medicine. He received the Distinguished Achievement Award for Overall Excellence – Early Career – from the Faculty of Medicine in 2015. He is on the Board of Directors for the Physiotherapy Association of BC, and is on the editorial boards of Journal of Orthopaedic and Sports Physical Therapy, Physiotherapy Canada, and British Journal of Sports Medicine. Jasdeep Dhir has been treating patients for over 17 years. In that time she has completed her transitional Post Professional Doctorate in MSK Management from EIM and an MClSc (MT) from Western University. She is a Fellow of the Canadian Academy of Manipulative Physiotherapy. She has also earned the Clinical Specialist, Musculoskeletal designation from the Canadian Physiotherapy Association. She also instructs and mentors within the Orthopaedic Division education system and is as Adjunct Lecturer at the University of Toronto and an Assistant Clinical Professor (part time) and Sessional Instructor in the MPT program at McMaster University. She also currently sits on the board of directors of the Ontario Physiotherapy Association and fills the role of Secretary of the National Orthopaedic Division. She has presented at symposia at both the provincial and national levels. 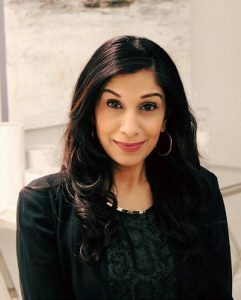 She is the Co- Founder of COMPASS Interactive workshops, which provides continuing education in Interpersonal skills development and has been recognized for contributions in teaching at the University of Toronto and awarded for excellence in mentorship by the Canadian Physiotherapy Association. Erin Macri is a postdoctoral researcher currently located at the University of Delaware’s Dept. of Physical Therapy, which is ranked as the top physical therapy program in the US. She has a BSc in Kinesiology (SFU), MPT entry level physical therapy (UBC), MSc in Experimental Medicine (UBC) and a PhD in Experimental Medicine (UBC). She holds physical therapy licensure in Canada, New Zealand and Australia. Erin serves on the editorial board for the British Journal of Sports Medicine and is a member of the International Patellofemoral Pain Research Network. Erin’s research focuses on identifying modifiable risk factors for patellofemoral osteoarthritis, with a special interest in patellar alignment. Chuck Ratzlaff, PhD, PT, FCAMT is a clinical epidemiologist and orthopaedic physical therapist, past research fellow at Harvard Medical School and current co-investigator on Canadian Institutes of Health Research (CIHR) projects at UBC and National Institutes of Health (NIH) projects at the University of Arizona and Harvard University. His research area is hip and knee injury and osteoarthritis (OA), FAI, imaging biomarkers in early OA, and injury prevention. He consults clinically with national, professional and recreational athletes and patients with complex hip and knee problems. 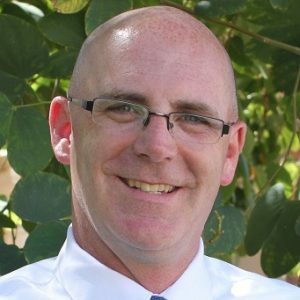 He has taught musculoskeletal and sports medicine and rehabilitation extensively, including in the Orthopaedic Division (CPA), and lectured internationally in clinical and research venues on these subjects. Geoff Schneider is a clinical specialist in musculoskeletal physiotherapy Since graduating from McMaster University, Geoff has had an interest in continuing education and research. He achieved his Diploma in Advanced Manual and Manipulative Therapy exam in 2002. He completed his Doctorate (DSc) at Andrews University (Michigan, USA). Geoff’s research is focused in the area of altered pain modulation (sensory hypersensitivity) and its effects in whiplash associated disorders. 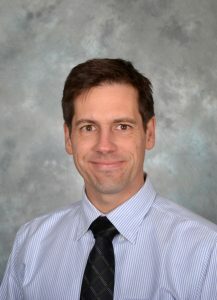 Geoff completed his PhD in Medical Sciences, with a strong focus on clinical epidemiology, through the Faculty of Medicine at the University of Calgary. He thesis involved the derivation of a clinical prediction rule in the clinical diagnosis of facet joint mediated pain in the cervical spine. In addition to his expertise in managing patients with spinal dysfunction, Geoff has a keen interest in sports medicine which stems from his days as a hockey player. 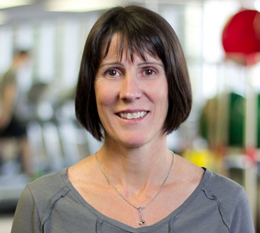 Deb Treloar is a UBC graduate with a degree in Rehabilitation Medicine. She is a fellow of the Canadian Academy of Manipulative Physiotherapy (FCAMPT) and is a certified Functional Dry Needling practitioner. She was an instructor in the Orthopaedic Division Manual Therapy Course System for 18 years. Deb has a special interest in the area of gait and the foot and ankle and has developed and taught courses in both these areas. In 2012 Deb was awarded the Clinical Excellence Award from PABC for her contribution to clinical practice in the area of the foot and ankle. Deb is a clinician and partner at Treloar Physiotherapy Clinic in Vancouver. Travis Wolsey is a UBC graduate with degrees in Human Kinetics and Physical Therapy. 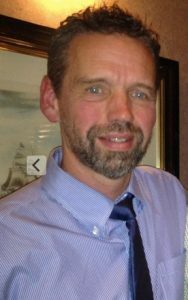 He is a fellow of the Canadian Academy of Manipulative Therapy (FCAMT) and holds a Diploma in Sport Physiotherapy. Travis has been the team physio for the Vancouver Giants (WHL) hockey team for over a decade and continues to work with young hockey and baseball athletes. He has developed a keen understanding of rehabilitation of the overhead athlete (throwers). 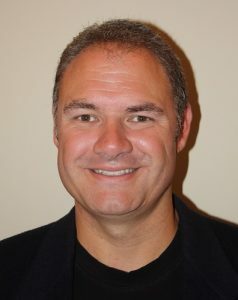 Travis is the owner and director of Delta’s Sungod Sports + Orthopaedic Physiotherapy Clinics (www.sungodphysio.com).